Gutter cleaning is far more important than most people think. Clogged or improperly working gutters can easily devalue your home. Gutters serve a very important function. They direct rainwater off of your roof and away from the underlying structure of your home. Failure to keep your gutter system maintained and your gutters cleaned can lead to thousands of dollars in untimely repairs. Sunrise Roofing & Chimney offers gutter cleaning and gutter repairs to residents of Long Island. For over 15 years our Long Island gutter contractors have been servicing homes in Nassau and Suffolk County. We understand the importance of a well maintained gutter. Neglecting to clean your gutter can cause major problems. The average life expectancy of an aluminum gutter is 20-30 years depending on maintenance and how well you take care of them. That is why it is important to understand what types of problems occur with Gutters. 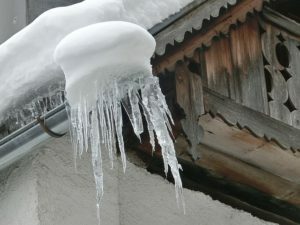 Ice Formation is another common gutter problem. Ice weighs down the gutter which can cause the gutter to split apart. Leaning ladders against gutters can also cause damage to your gutter. It is important to hire a professional gutter installer to clean your gutters. Gutter maintenance is one of the most important tasks you face as a homeowner. Keep your gutters clean to prevent everything from cracked foundations, leaky basements and rotting wood on your home. Furthermore, if you let the debris in your gutters build up for too long your gutters become a breeding nest for bugs, insects and mice. Your home is an investment! At Sunrise Roofing & Chimney our gutter cleanings start at only $39.95. Save money and save time from doing this back-breaking chore yourself. That’s right… Gutter cleanings as low as $39.95! 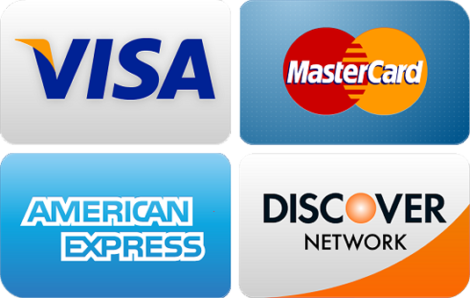 We offer free estimates and same-day service. We are happy to visit your home and perform a gutter cleaning service any day of the week! Gutters should be cleaned at least twice per year, however, if your house is surrounded by many trees you should have your gutters cleaned at least four times per year. Gutters need to be cleaned to remove debris that builds up inside the gutters. By having gutters filled with leaves and other debris, it creates breeding nests for bugs, insects, and mice. Also, by having gutters that cannot properly drain water, it will result in water overflowing from the gutters and not being drained at the proper location. By having water overflow from the gutters, it will result in water going into the ground near the foundation which could result in damage to the foundation and basement of your home. It could also damage the paint and siding on your house which can lead to more expensive repairs. Gutters are important for directing water off of your roof and keeping it away from the foundation. Without gutters, water would flow directly off the roof and into the ground near the foundation. This could cause thousands of dollars of damage to your foundation and basement of your home. By keeping your gutters clean, it will help your gutters properly function. This depends on the size of your home but most gutter cleanings only take 30-60 minutes. Sunrise Roofing and Chimney is happy to offer free estimates and same-day service. For more information on Gutter cleaning and installation on Long Island, Contact Sunrise Roofing and Chimney at (631) 657-5059!